More details of Russell Wilson‘s landmark extension are emerging. Wilson’s 2020 and ’21 base salaries — $19MM apiece — will become fully guaranteed if he is on the Seahawks roster five days after Super Bowls LIV and LV, respectively. With that a near-certainty, Wilson’s $107MM in total guarantees are practically full guarantees. Wilson will earn a $19MM base salary in 2022 and ’23, according to OverTheCap. This deal leaves Wilson with cap numbers of $26.29MM (2019), $31MM (2020), $32MM (’21), $37MM (’22) and $39MM (’23). The eighth-year quarterback’s base salary was slated to be $17MM this year; the new deal converted much of that money into a signing bonus, with Wilson now attached to a $5MM base in 2019. The new contract raised Wilson’s 2019 cap number by just $1MM. Additionally, the contract includes a $6MM escalator clause — which would bring the total dollar figure up to $146MM — for Wilson’s 2023 salary, per CBS Sports’ Joel Corry (on Twitter). Unspecified performance-based incentives from 2020-22 can bump the Pro Bowler’s $21MM salary in 2023 to $27MM. The Vikings are considering moving left tackle Riley Reiff to left guard, but it appears that is contingent on how the draft goes. Reiff will likely only move inside if Minnesota selects a first-round tackle, per Dave Campbell of the Associated Press. Reiff has only played tackle in the NFL. The Vikings “wouldn’t hesitate” to move center Pat Elflein to guard, Campbell adds, but that will also be contingent on the draft. Minnesota failing to add a center worth relocating Elflein would presumably nix that move. Either way, the Vikings’ embattled line will likely look a bit different post-draft. Rodney McLeod will not participate in the Eagles‘ offseason program. The veteran safety, who tore his ACL in Week 3 of last season, is aiming for a training camp return, the Philadelphia Inquirer’s Les Bowen notes. McLeod took a major pay cut this offseason, slashing his 2019 salary from $7.5MM to $1.5MM. That can become $4MM, should McLeod play in all 16 Eagles games, Bowen adds. He played in 16 games in each season from 2012-16 and had missed just two in his career prior to the 2018 injury. McLeod signed a five-year deal in 2016, but the contract is now a four-year pact. 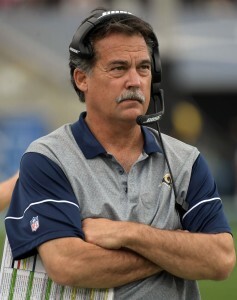 The restructure voided the 2020 season. No last-ditch effort will save the Alliance of American Football. The league filed for bankruptcy this week. “Pursuant to the bankruptcy laws, a trustee will be empowered to resolve all matters related to the AAF’s remaining assets and liabilities, including ongoing matters related to player contracts,” the league said in a statement. The AAF abruptly halted operations earlier this month, leaving a messy trail of financial turmoil after an eight-game season. While it would appear Frank Clark would be a critical part of the Seahawks’ core going forward, being by far the franchise’s top edge rusher, he continues to be mentioned as a trade candidate. Several teams are interested in Clark, Ian Rapoport of NFL.com reports (video link). This will-they/won’t-they saga will “definitely” be settled by draft time, Rapoport adds. 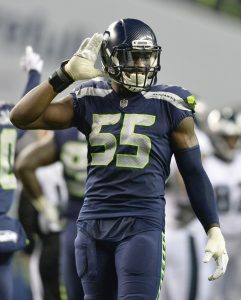 Pete Carroll said the standout defensive end will be part of the 2019 Seahawks, and the team used its franchise tag for the first time in nine years in order to retain Clark. Negotiations began on a new deal earlier this offseason, and the sides made progress in early March. But it’s not certain if they’ve closed the gap since. It’s possible the Cowboys’ subsequent $21MM-AAV deal for DeMarcus Lawrence has complicated the Clark talks. Like Lawrence did before his extension, Clark has said he will not report to training camp without a new deal. Clark may be able to fetch a first-round pick. At 25, he is two years younger than Dee Ford — who netted the Chiefs a 2020 second-rounder in a tag-and-trade swap with the 49ers — and has been more consistent. Although Clark became a Week 1 starter for the first time last season, he registered 19 sacks between the 2016-17 slates prior to his 13-sack 2018. But his departure would obviously leave a major hole on Seattle’s depth chart, especially considering the team does not have a surefire starter opposite Clark. Teams were interested in a Clark tag-and-trade transaction at free agency’s outset, but the Seahawks are believed to only be motivated to move the fifth-year player if they are blown away by an offer. The Seahawks just authorized a record-breaking Russell Wilson contract, but John Schneider said the quarterback’s deal will not impact Clark’s situation. Following the Wilson re-up, the Seahawks hold just more than $9MM in cap space. Schneider said recently he would like to acquire additional draft capital this year. No team holds fewer than the Seahawks’ six picks. 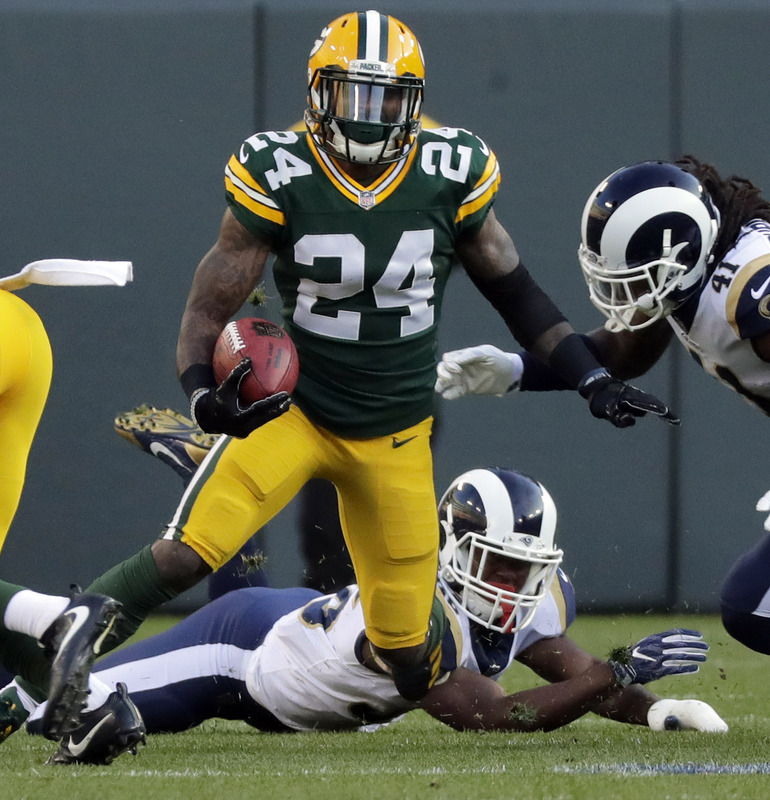 Although Seattle often gains draft picks by trading back in the first round, trading Clark would obviously be a way to procure at least one high-value choice. Plenty has come out of the Giants’ building about their No. 6 overall pick. For the most part, recent weeks have placed them in a defense-first camp at that spot. It is possible the team had smokescreen intentions. 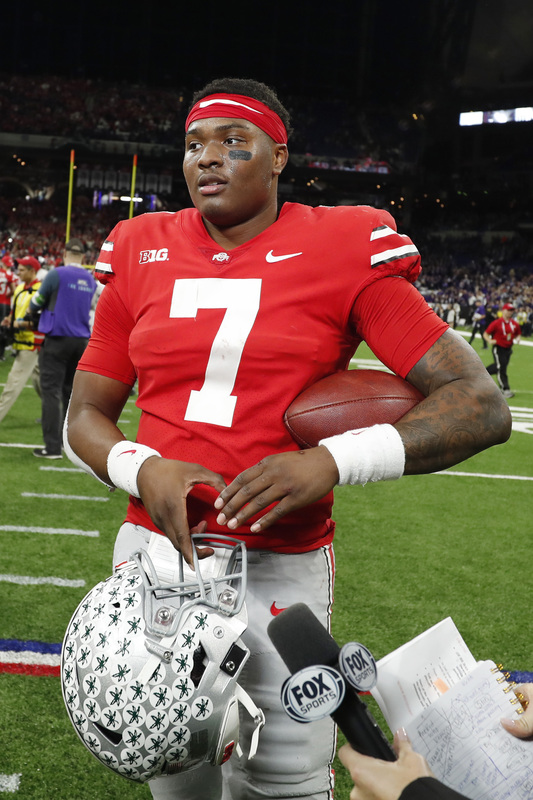 Dwayne Haskins‘ stock may or may not have dropped, with reports he now may be the fourth quarterback selected. But the Giants may remain high on him. Sources in other teams’ front offices are convinced the Giants have “always” wanted Haskins at No. 6, Matt Miller of Bleacher Report notes, adding Big Blue has researched the Ohio State product more than any other team. Haskins visited the Giants this month, joining Kyler Murray and the other top passer prospects in this year’s draft in doing so. 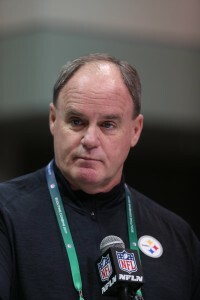 A report surfaced about the Giants cooling a bit on Haskins, but this is not exactly a point on the NFL calendar where teams are forthright about their intentions. The Giants obviously need a long-term option at quarterback, with this possibly being Eli Manning‘s last season, and Dave Gettleman has said the Chiefs’ model — which featured Patrick Mahomes sitting behind Alex Smith as a rookie — is a setup he would be interested in using. But New York also has major needs on defense, which could be addressed at No. 6 in a defense-heavy first round. Gettleman said this week the Giants would not force a quarterback pick. They have obviously proven this to be the case, having made the scrutinized Saquon Barkley-over-Sam Darnold selection last year. Haskins did not receive the steady buzz Darnold did, instead breaking out as a sophomore and entering the draft. While passing on one of the defenders will leave the Giants possibly without a blue-chip Week 1 starter in this draft, they also have possessed top-six picks in each of the past two years. Not addressing their biggest big-picture need with either of those choices would look a bit strange. But they remain open to extending Manning into 2020, pointing to a possible scenario where the team again passes on a quarterback and attempts to have Manning tutor one next year. We’ve heard murmurs for a while now that the Jets could consider trading down from the third overall pick, and we now have more confirmation of that. Multiple sources told Ralph Vacchiano of SNY that the Jets are “determined” to trade down from their top pick. One source told Vacchiano that Jets GM Mike Maccagnan is looking to “recoup the second-round pick he gave up last year when the Jets moved up in the draft to get quarterback Sam Darnold.” The Jets already have their franchise quarterback in Darnold, so it makes sense why they’d be looking to move down and stockpile extra picks. Maccagnan had indicated he was open to the idea of moving down in the past, but this is the most concrete confirmation we’ve gotten of that. Speaking of the Jets, don’t expect them to be in on Seahawks pass-rusher Frank Clark if he really is being shopped, according to Richi Cimini of ESPN.com (Twitter link). Cimini writes that the Jets did have interest in Clark at the start of free agency, but that a trade “seems unlikely under the current circumstances.” The Jets are desperate for pass-rush help, as Cimini points out they haven’t had a player with double-digit sacks since 2015, but it sounds like they won’t be getting it through a trade. If the Jets don’t trade down from the third spot, they’re very likely to draft an edge rusher, like Josh Allen from Kentucky or Nick Bosa from Ohio State if he fell to them. In case you missed it, Browns general manager John Dorsey dished on his team’s offseason. The Giants have been one of the most heavily scrutinized teams leading up to the 2019 NFL Draft. Many observers thought they were going to take a quarterback with the second overall pick, but they passed on signal-callers like Sam Darnold, Josh Allen, and Josh Rosen to take Saquon Barkley. After Eli Manning had another disappointing season, it seemed like his time as New York’s quarterback was coming to an end, and that the Giants would almost certainly take on early this year. Instead, the Giants have more or less doubled down. They’ve already declared Manning will be the starter in 2019, and they’re reportedly even open to him starting in 2020 and beyond. As the draft got closer, the idea of the Giants passing on a quarterback began to pick up more and more steam. But now we’re finally getting some pushback on that, and momentum appears to be heading the other way with the draft less than a week away. “Several smart people around the NFL are convinced” the Giants will use the sixth overall pick on a passer, Ian Rapoport of NFL Network hears (Twitter link). We heard yesterday that the Giants are doing their homework on West Virginia quarterback Will Grier, who could be a target on Day 2. Overall, the Giants have done a pretty good job keeping us all in the dark about their intentions, and we won’t know for sure what they’re doing until draft day. “One of Broncos final pre-draft visits was with Notre Dame DE Jerry Tillery,” a source told Mike Klis of Denver 9 News (Twitter link). Many analysts are very high on Tillery’s upside, and he’s currently projected by most to go sometime in the second round. Tillery played defensive tackle at Notre Dame, and could fit nicely as an end in Denver’s 3-4 defense. Last year with the Fighting Irish, Tillery had 8.5 tackles for loss and seven sacks. With Von Miller and Bradley Chubb already in place, the Broncos would have a very talented pass-rush if they added someone like Tillery. The “odds remain in favor of the Dolphins addressing their defensive line with their first-round choice,” writes Barry Jackson of the Miami Herald. A lot of Dolphins fans have been hoping Miami would take a quarterback with the 13th pick, but the team appears set to punt on the position for now and take a bigger swing at it in 2020. The Dolphins appear set to roll with Ryan Fitzpatrick as the starter for the duration of the 2019 season, and as much as they want to deny it, are tanking. 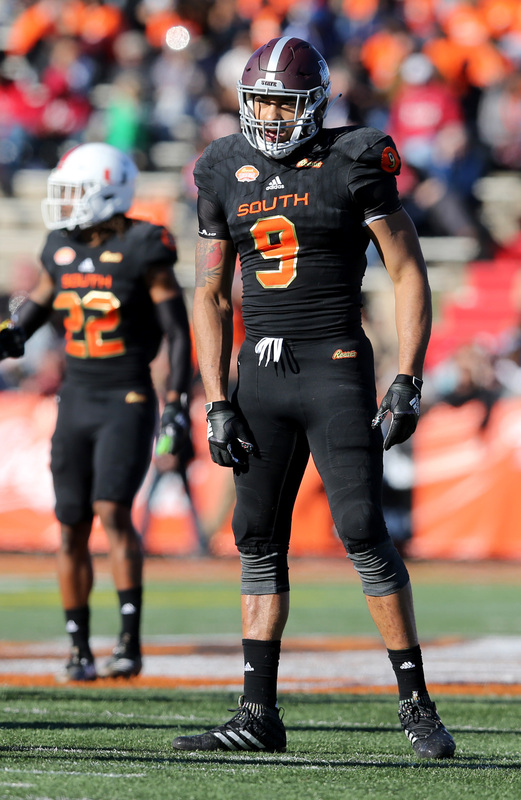 Darnell Savage Jr., the Maryland safety, has been shooting up draft boards. Savage has had a meteoric rise, and could go as high as the late first round. He’s been busy recently, visiting with the “Cardinals, Bucs, Steelers, Colts, Seahawks, Lions, Titans, Falcons, Chargers, Rams, Patriots, Panthers, Browns, Eagles and Steelers,” according to Jeff Zrebiec of The Athletic (Twitter link). Last season, Savage had 52 tackles, including 5.5 for a loss, and had four interceptions. If he had left after his junior season, Stanford running back Bryce Love likely would’ve been an early draft pick. The 2017 Heisman runner-up opted to return to school for his senior year, and ended up tearing his ACL last season. Love’s stock took a hit, and it could be tumbling even further. Teams are very concerned that his knee, the same one where the ACL was torn, remains very stiff, according to Tom Pelissero of NFL Network (Twitter link). Love attended the combine’s recent medical re-check, and some teams are apparently concerned he might not get back to 100 percent. Pelissero does note that the stiffness is an issue that can be treated, and it could require another surgery. Here’s to hoping Love makes a full recovery. 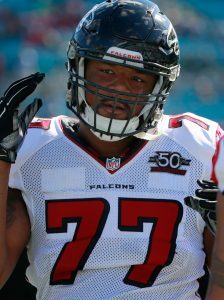 Ra’Shede Hageman is back in the NFL, and right back where it all started. Hageman is signing with the Falcons, the team that drafted him in the second round back in 2014, according to Darren Wolfson of KSTP TV (Twitter link). It’s a one-year deal, tweets Tom Pelissero of NFL Network. Hageman met with the Falcons last week, so we knew they were interested in a reunion. He’s been out of the league for a couple of years now but drew some legit interest, as the Vikings apparently kicked the tires. Hageman was the 37th overall pick of the 2014 draft, and his career got off to a decent start. But following a domestic violence incident, Hageman was placed on the commissioner’s exempt list in September of 2017 and released not long after. He was ultimately suspended by the league for six games. He spent the entire 2017 season out of football, and drew interest from the Patriots and Seahawks last offseason but didn’t sign. He was then arrested for a DWI last June. At the time we heard of the Vikings’ interest, the former Minnesota Gopher talked about the need to prove he’d changed off the field. Hageman was hit with a two-game suspension for his DWI arrest, so he won’t be eligible to play for the first two games of the 2019 season. He appeared in 44 games with 16 starts during his three years in Atlanta.